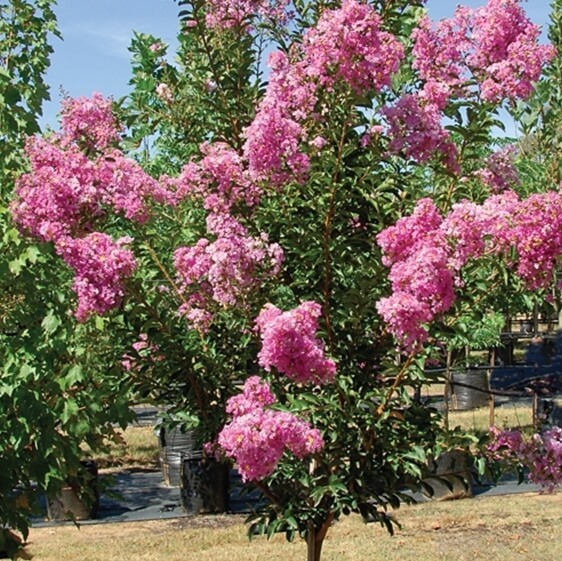 A small, rapid growing feature tree offering showy clusters of dark coral-pink flowers in Summer, glowing red-orange Autumn foliage and smooth pinkish brown-grey bark. Broad spreading with multi-stemmed, stiff, upright branching. Thrives in moist, well drained, slightly acidic soils in a position receiving full sun. Small or large gardens and will perform well in limited spaces.